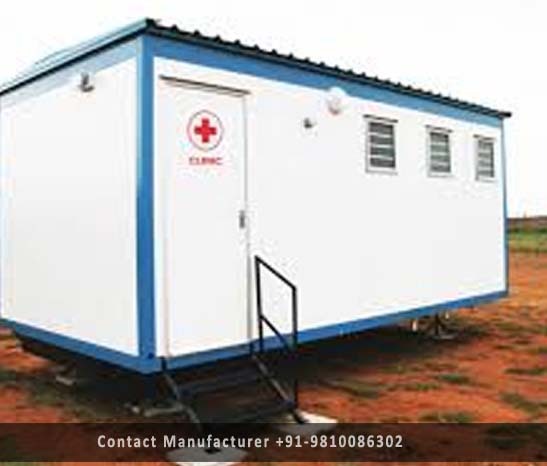 Prefabricated Clinic Manufacturer in Delhi, Prefabricated Clinic Supplier in Delhi, Prefabricated Clinic in Delhi. This department identifies and manufactures furniture and medical support systems that go into the making of a hospital, like hospital beds, tables chairs and various other support systems used in cabins, O.T or the stores. We can design, fabricate or modify medical aids like walkers, crutches or special trolleys which might be needed for specific needs of a trauma care unit, a burn unit or a female ward, like a specially designed toilet seat and support for the old or retarded. Our strength in this area comes from our industrial design department which has been involved in designing and developing various products ranging from high tech safety scalpel to specialized tools, machines, and custom made electro-mechanical equipment made from materials ranging from plastics to aluminium castings and sheet metals.